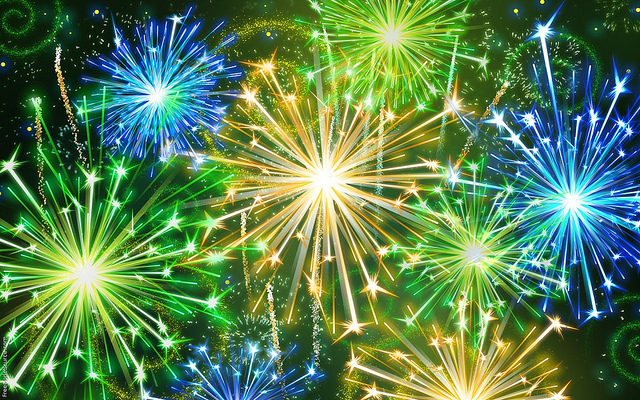 Kick off the new year with the new unified search on ScienceOpen! We have accomplished a lot over the last year and are looking forward to supporting the academic community in 2017. 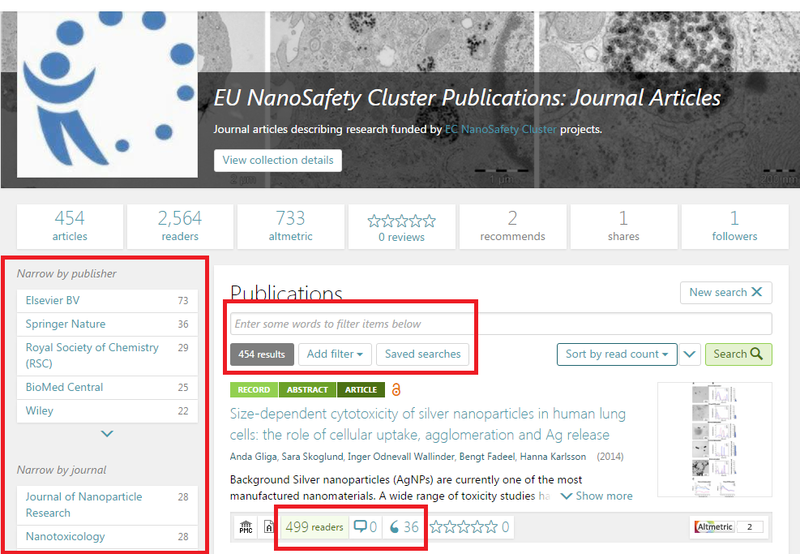 In 2016 ScienceOpen brought you more context: Now your search comes with a new analytics bar that breaks down your search results by collections, journals, publishers, disciplines, and keywords for quicker filtering. Try a search for the pressing topics of 2016 like Zika or CRISPR and take the new features for a spin. Researcher output, journal content, reference lists, citing articles can all be dynamically sorted and explored via Altmetric score, citations, date, activity. Statistics for journals, publishers and authors give overview of the content that we are indexing on ScienceOpen. Check out the most relevant journals on ScienceOpen, for example BMC Infectious Diseases or PloS Genetics for a new perspective. Or add your publications to your ORCID and get a dynamic view of your own output. In 2016 ScienceOpen brought you more content: We welcomed publisher customers across the entire spectrum of disciplines to ScienceOpen and expect many more for the upcoming year. We added multiple journals from Brill, River Publishers, Open Library of Humanities, Higher Education Press and featured collections for PeerJ Computer Science, Cold Spring Harbor Laboratory Press Molecular Case Studies and the Italian Society for Victimology. We had the pleasure to work with a very diverse group, from STM to HSS, from open access to subscription-based journals, creating interdisciplinary bridges and new connections for their content. We further integrated all of SciELO on ScienceOpen this year for a more global perspective and have had a great time working with them. We are at over 27 million article records and adding content every day. In 2016 ScienceOpen brought you more open: The ScienceOpen team participated in and helped organize numerous community events promoting Open Science. From Peer Review Week to OpenCon, talks at SSP in Vancouver and SpotOn in London, our team was on the road, debating hot issues in scholarly communication. In order to bring more visibility to smaller community open access journals, very often with close to non-existent funding and run on a voluntary basis, we launched our platinum indexing competition. It was geared towards open access journals charging no APCs to their authors. Four successful rounds in, we have selected 18 journals to be indexed and awarded some of them with special featured collections on the ScienceOpen platform. This activity was particularly rewarding as we heard back from journals’ editors expressing their enthusiasm about the ScienceOpen project and enjoying bigger usage numbers on their content. 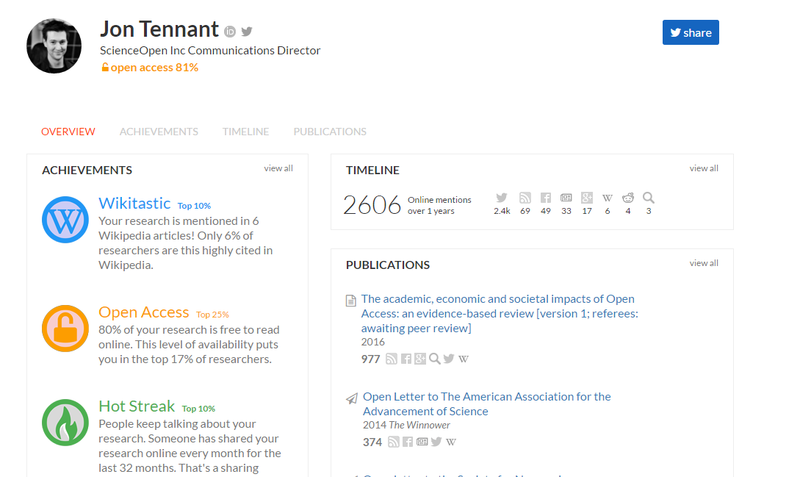 The ScienceOpen 2.017 version will continue to focus on context, content and open science. We are your starting point for academic discovery and networking. Together let’s explore new ways to support visibility for your publications, promote peer review, improve search and discovery and facilitate collection building. Here is to putting research in context! The year 2016 had some great moments – may 2017 bring many, many more! Open Access is not a research issue. It’s not a European issue. It’s not a publisher or policy issue. 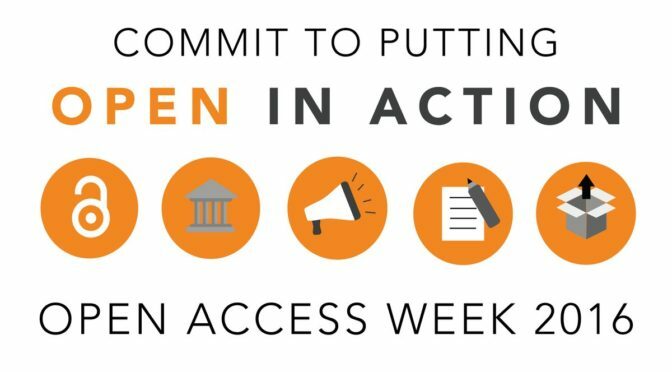 Open Access is a global issue. Knowledge is a public good, and forms the basis of an environment in which everyone can develop and build inclusively. It can help to inspire publication innovation and entrepreneurship. Open Access to research sits at the core of this on a global level. As part of our ‘Open Science Stars’ series, we’ve been trying to expose some of the views and experiences of people from the world of open around the world. This global perspective is important, because researchers have a responsibility to contribute to the open sharing of results around the world, and not take a free ride based on elite privilege. Today, we wanted to delve a bit into the status of OA in China. Recently, we partnered with Higher Education Press, one of the top publishers in China, to index one of their flagship journals, and to demonstrate China’s continued support for more open research practices. China has committed to rapid growth in scientific research and development recently, and this is reflected in the solid evidence for a strongly developing open access research base. At ScienceOpen, you can peer review any of 13 million research articles (and climbing every day!). That’s right! Any one you want. 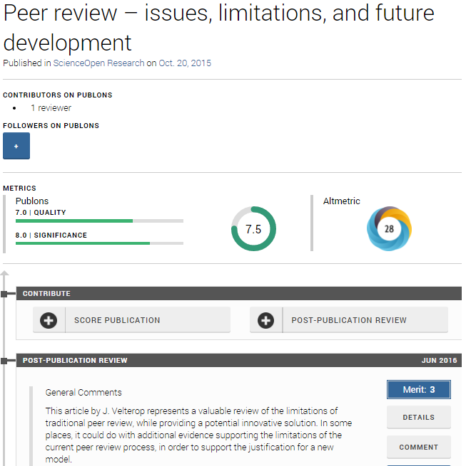 Even if an article has been published and ‘passed’ peer review, you can still comment on it. The only reason there would ever be no value in doing this would be if all published work were completely infallible, which is clearly not the case. To review an article, you must create a LOGIN ID for ScienceOpen and ORCID by following the instructions here. 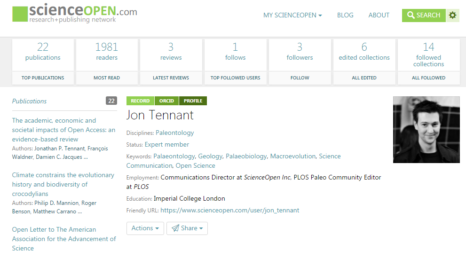 The ScienceOpen community has agreed to only allow formal peer reviews from ScienceOpen members that have published at least 5 articles in peer reviewed journals. 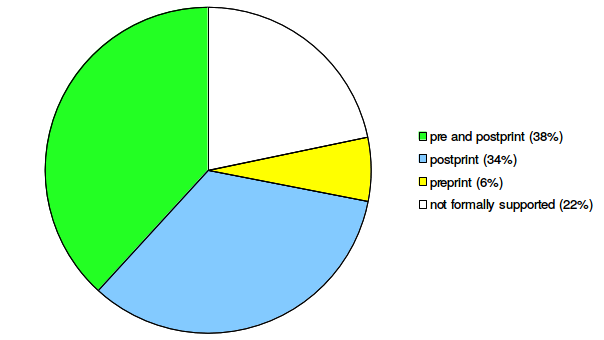 For this reason, please do not forget to add your publication history on ORCID. 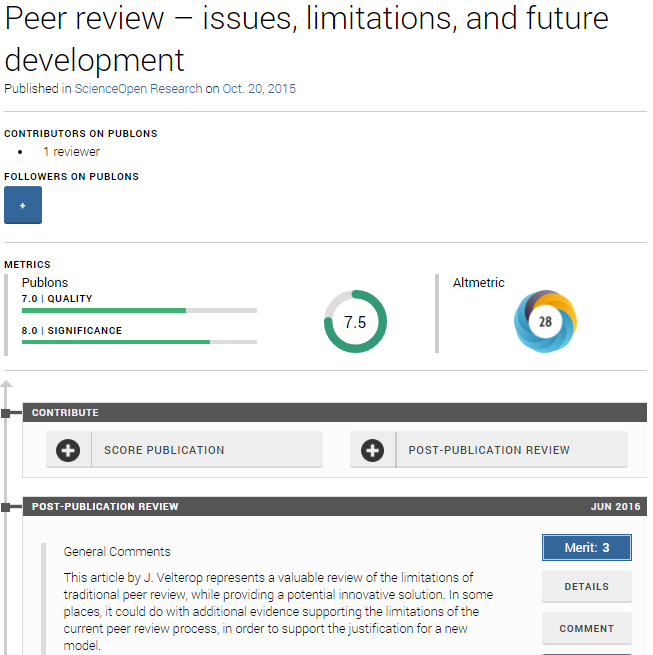 Only if you do not have an ORCID account can a peer review manager at ScienceOpen set up an account for you. If you would like for someone to do this, please send an email to dan.cook@scienceopen.com before proceeding. Put the phrase “Create accounts” in the subject line, and put your name and email address in the body of the email. 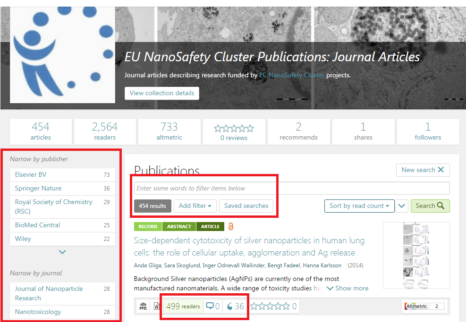 ScienceOpen Collections are thematic groups of research articles that transcend journals and publishers to transform how we collate and build upon scientific knowledge. The modern research environment is a hyper-dimensional space with a vast quantity of outputs that are impossible to manually manage. 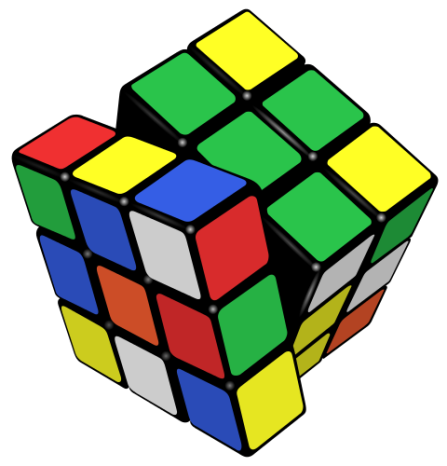 You can think of research like a giant Rubik’s cube: you have different ‘colours’ of research that you have to mix and match and play around with to discover how the different sections fit together to become something useful. We view Collections as the individual faces of a Rubik’s cube. They draw from the vast, and often messy, pool of published research to provide an additional layer of context and clarity. They represent a new way for researchers to filter the published record to discover and curate content that is directly relevant to them, irrespective of who published it or what journal it appears in. Perhaps the main advantage of Collections to researchers is that they are independent of journals or publishers and their branding criteria. Researchers are undoubtedly the best-placed to assess what research is relevant to themselves and their communities. As such, we see Collections as the natural continuing transformation of the concept of the modern journal, acting in almost full cycle to return them to their basic principles. The advantage of using Collections is that they provide researchers with the power to filter and select from the published record and create what is in essence a highly-specialised virtual journal. This means that Collections are not pre-selective, but instead comprise papers discriminated only by a single criterion: research that is relevant to your peers, and also deemed relevant by them. Filtering for Collections occurs at different levels depending on scope or complexity of research. For example, Collections can be designed to focus on different research topics, lab groups or research groups, communities, or even departments or institutions. Collections can also be created for specific conferences and include posters from these, published on ScienceOpen. You define the scope and the selection criteria. 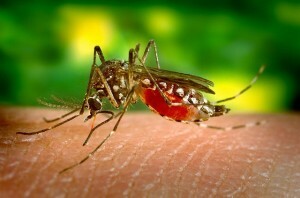 Two days ago, the World Health Organisation declared that the threat of the Zika virus disease in Latin America and the Caribbean constituted a Public Health Emergency of International Concern. The decision was based on the outbreak of clusters of microcephaly and Guillian-Barré syndrome, which are devastating cases of congenital malformation and neurological complications. While a direct causal relationship has yet to be formally stated, the correlation between Zika infection during pregnancy and microcephaly is strongly correlated. 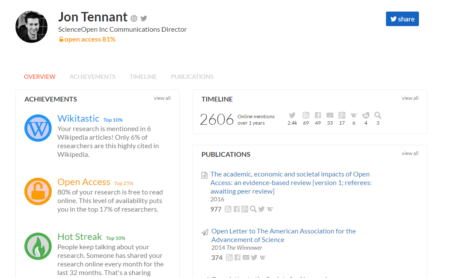 At ScienceOpen, we believe that rapid publication serves the communication of research, and aim to have submitted papers published online within 24-48 hours. For articles relating to the Zika outbreak, we are waiving the usual submission charge, and any published articles will be integrated into our pre-existing research collection on the Zika virus. Articles will receive top priority, and therefore be almost immediately available to the research community, medical professionals, and the wider public. We encourage submission of all articles relating to the virus. Please directly contact Stephanie Dawson for submissions and related enquiries. There is clearly a need to co-ordinate international efforts, including those of the research community, to investigate and understand the Zika virus better. At ScienceOpen, we want to play our part in facilitating the communication of any such research, and the speedy protection of those at risk. We are happy to join other open access publishers such as F1000 Research and PLOS Current Outbreaks (both of which which publish very rapidly) who have similarly declared that all research published with them on the Zika virus can be published free of charge. I wrote this post on the plane back from my trip to Shanghai after a multiple day delay that (looking on the bright side) allowed me to see some of the sights courtesy of Hainan Airways! I was invited to speak at the 3rd International Academic Publishing Forum on August 19th. Organized by the Shanghai Jiao Tong University press, the event brought together nearly 60 Chinese University Presses and representatives from some Western academic publishers – Elsevier, Wiley, Springer, Sage, Brill and ScienceOpen –to discuss what we can learn from one another. My most powerful impression was the high value China places on knowledge. Mr. Shulin Wu, Vice-Chairman of the Publishers Association of China said in his in his keynote speech that the government regards “knowledge production to be as important as mining or oil”. And China is set to surpass both the US and the EU in spending on research and development by 2020. Communicating this knowledge, therefore, also has a high priority and falls mainly to the university presses. Their main short-term goals expressed over the two days were internationalization and digitalization of their content, with language seen as the main hurdle. Certainly all had a plan for going global. But some publishers, including myself, were already thinking beyond internationalization and digitalization to the next step in academic publishing. Jason Wu hit the nail on the head by describing Wiley’s process of transformation “from publishing business to global provider of knowledge and learning services.” Solutions for researchers must be digital, global, mobile, interdisciplinary (Bryan Davies of Elsevier quoted a study that found 44% of researchers look for information outside of their own field). And Open Access is a good place to start. The Open Access business model for journal publishing is perfect for Chinese publishers who have until now been dependent on cooperation with Western publishers to get their authors heard. Chinese scientists who do world-class research can publish in “world-class” journals such as Science or Nature, but publishers here were asking the hard question of themselves – why are so few of those world-class journals published in China? While Open Access cannot itself address the problem of reputation, it can insure that research can be read immediately and globally, without a team of sales representatives on every continent. As essentially non-profit entities with a mission to communicate China’s research successes to the world they are uniquely situated. With access to so much outstanding research, I sincerely hope that Chinese publishers will embrace this opportunity. Taking the Shanghai subway I can attest that young Chinese are constantly networking on their mobile devices. A scientific networking and research platform like ScienceOpen in China would have a good chance to catch the imagination of young scientists. But time will tell how open this generation will be allowed to be. During my stay the Chinese government shut down up to 50 online news websites and nearly 400 Weibo and WeChat accounts for spreading “rumours” of the recent chemical explosion which took 129 lives. Twitter, Facebook, Google and many other sites were blocked during my visit, which left me feeling rather cut off from the rest of the world. It was a crazy week – from the crowds and flashing neon of Shanghai to the peaceful magnificence of the Great Wall. 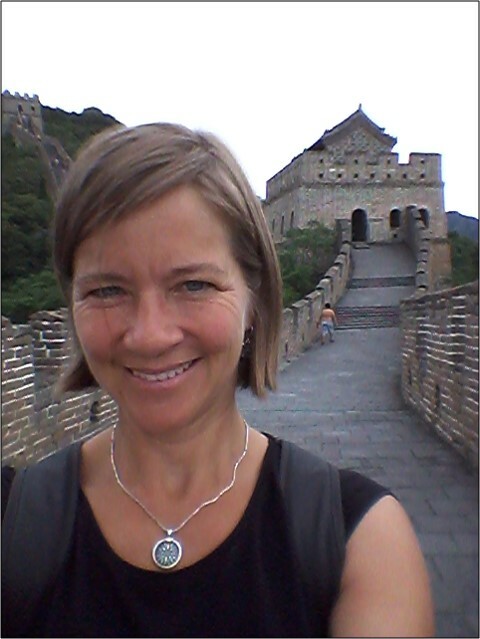 I came away with a sense of the huge potential in China and the feeling that China needs Open Access and the Open Access movement needs China.